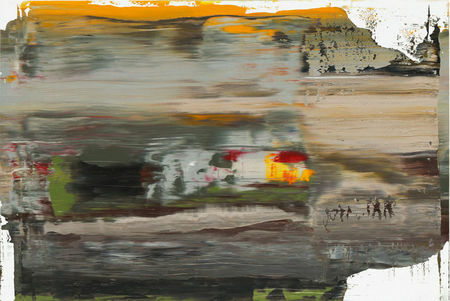 Gerhard Richter, Abstract Painting (894-2), 2005. Oil on aludibond, 11 3/4 x 17 3/8 in. ( 30 x 44 cm ) Inv.#12625. Courtesy: Marian Goodman Gallery, New York. NEW YORK, NY.- The Marian Goodman Gallery is showing an exhibition of new work by Gerhard Richter which will be on view through January 9th, 2010. On view are a major representation of works made by the artist from 2005 to the present, including an important new cycle of paintings titled Sindbad , 2008 as well as individual paintings presenting medium to large format abstractions, and a new group of large scale near-monochrome paintings whose underlying chromatic structures are layered by translucent veils of white paint. The exhibition is the most recent presentation of the artist's work in New York since his solo exhibition at Marian Goodman NY in 2005. A fully illustrated catalogue, Gerhard Richter: Abstract Paintings, 2009 has been published on the occasion of the exhibition and includes a new text by Benjamin H.D. 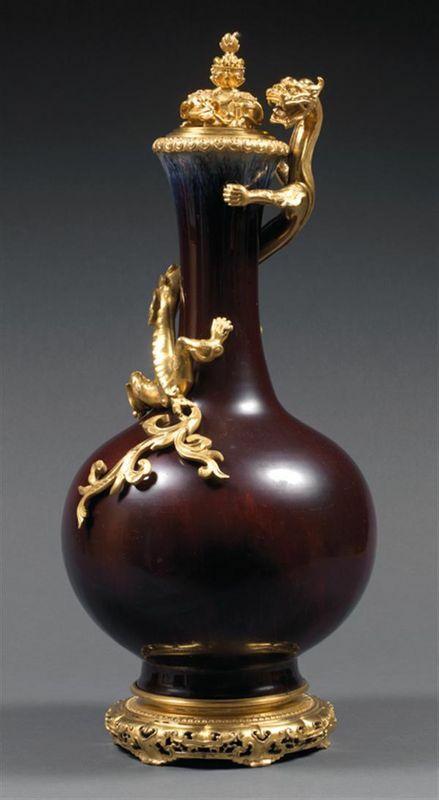 Buchloh, Andrew W. Mellon Professor of Modern Art History at Harvard University. The catalogue also includes full-color reproductions of the exhibition. 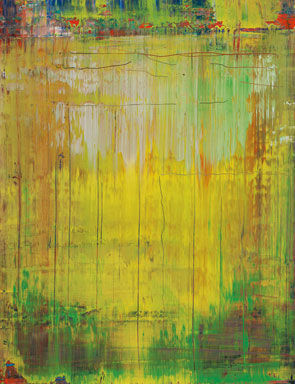 In his essay, Buchloh traces the historical and aesthetic framework of Richter's abstract paintings and considers the artist's recent white non-representational works within the larger context of a postwar trajectory of reductivist painting in the US and Europe. 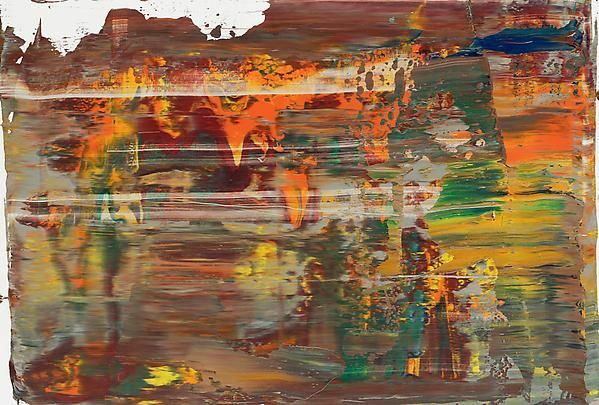 Gerhard Richter, 894-1 "Abstract Painting", 2005. Oil on aludibond, 11-3/4 x 17-3/8 in. Inv.#12624. Courtesy: Marian Goodman Gallery, New York. Gerhard Richter, 908-10 "Abstract Painting", 2009. Oil on wood, 23-5/8 x 19-5/8 in. 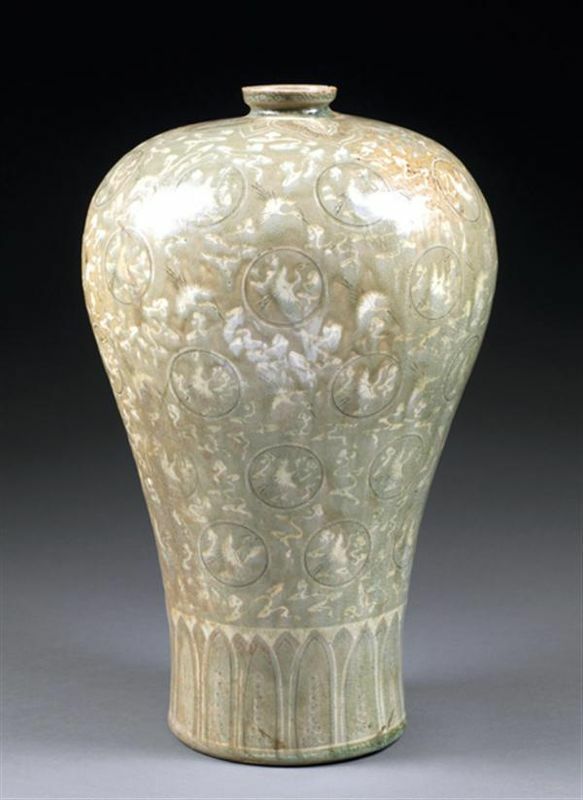 Inv.#12665. Courtesy: Marian Goodman Gallery, New York.